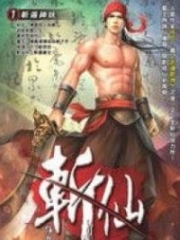 You’re reading novel Trial Marriage Husband: Need to Work Hard Chapter 199 online at LightNovelFree.com. Please use the follow button to get notification about the latest chapter next time when you visit LightNovelFree.com. Use F11 button to read novel in full-screen(PC only). Drop by anytime you want to read free – fast – latest novel. It’s great if you could leave a comment, share your opinion about the new chapters, new novel with others on the internet. We’ll do our best to bring you the finest, latest novel everyday. Enjoy! Inside the peaceful private hospital, Lan Xi awoke to the sharp smell of disinfectant. After opening her eyes, she stared blankly at the ceiling. Luo Hao guarded by her bedside. Upon seeing her wake up, he quickly asked, "Are you better? Do you still feel dizzy?" "How is Cheng Tian?" Lan Xi asked with a raspy voice. Luo Hao thought for a moment before answering her honestly, "It's been severely affected. Even the police have been alerted, but I've already told the legal team to cooperate with them. As for murder and kidnapping, the police can't find any evidence, so it shouldn't be an issue." "However, a lot of our collaborations have been canceled, including advertis.e.m.e.nts and endors.e.m.e.nts. Apart from Tangning, even Hua Yuan has received a cold reception." After hearing Luo Hao's words, Lan Xi flipped over and turned her back to him as she closed her eyes and burst into tears, "Cheng Tian is destroyed, it's been destroyed in my hands..."
Luo Hao didn't know how to comfort Lan Xi. All he could do was sit quietly by her side as she cried. After a fair bit of time pa.s.sed, Luo Hao finally asked, "Right now, there are reporters everywhere. The doctors asked if you are feeling better and whether you would like to go home and get some rest?" "Right now, is there any difference where I go?" Lan Xi asked back. Luo Hao couldn't stand Lan Xi's defeated att.i.tude, so he stood up and grabbed onto her s.h.i.+rt, "All these years, you've been through so much. Can't you handle a little setback?" "Cheng Tian Entertainment hasn't closed down yet, there are still plenty of people waiting for you to solve issues with their resources. Is there any use for you to hide like this? Don't forget, Tangning's contract is still with Cheng Tian. Her popularity..."
"...is still Cheng Tian's glory." "That's right," Lan Xi suddenly sneered as she pulled away from Luo Hao's grip and sat up, "Tangning is still under our control. She shouldn't consider going anywhere...I will tie her down with this contract." Seeing Lan Xi recover her fighting spirit, Luo Hao slowly felt relief. He grabbed his phone and stepped out of the hospital room to return a call to his a.s.sistant, "What's wrong?" "Director, a young girl has shown up at the agency and insists on seeing Tangning. She's endlessly screaming that a life is on the line. It appears she is not merely a fan." Because Tangning belonged to Cheng Tian, the young girl went directly to Cheng Tian. However, she had no idea, this would cause Tangning's destruction. "Did you ask her what's wrong?" "She doesn't want to tell us," his a.s.sistant replied. "But, from the looks of it, it is really urgent. She refuses to leave the lobby." "Let me handle it when I get back," Luo Hao hung up the phone before returning to the room. Lan Xi had already changed her clothes. "I will be going back to the agency." Luo Hao nodded as he grabbed her belongings before returning to Cheng Tian under the protection of security. As they entered the lobby, Luo Hao's a.s.sistant was standing at the entrance. As soon as he spotted Luo Hao, he immediately approached and pointed to the girl pacing back and forth, "That's her." Luo Hao nodded. After escorting Lan Xi to her office, he returned to face the girl and asked, "Miss, I heard you are urgently looking for Tangning, what's the matter?" Hearing Luo Hao's question, the long-haired girl quickly stood up and replied, "I'm looking for her to save a life." "Can you give me her contact details?" she asked sincerely. "I hope you can help me." Luo Hao remained silent for a few seconds before replying, "Sorry, I am this agency's director and Tangning is this agency's model. For Tangning's safety, I can't reveal her private information." "However, you can tell me everything and I will pa.s.s the message onto Tangning. As for whether she will get in touch with you, that is her decision." The girl was a little distressed, but she understood Luo Hao's difficulties. So, she told him everything, "Tangning promised to save someone, but I can't tell you who it is. This person is currently in a critical state, that's why I've come to Cheng Tian." "I've already tried to contact her through the radio and multiple other avenues, but...she is too famous these days. Seeing her is not an easy task to achieve." "I hope you can tell her, no matter what the Han family has done to her, this person is innocent. Since she has promised to save her, she shouldn't go back on her words." "What sickness are we talking about? Why isn't the hospital helping?" "If the hospital could help, I wouldn't be looking for Tangning. I really hope you can relay my message, thank you." After speaking, the girl wrote down her contact details and handed them to Luo Hao before giving him a bow. She then left the lobby. Without a word, he scrunched up the note and threw it straight into the rubbish bin. After returning to his office, Luo Hao immediately instructed his a.s.sistant to investigate Han Yufan. It turned out, Han Yufan still had a younger sister. Most importantly...she had a serious illness. After seeing the information from his a.s.sistant, Luo Hao leaned back on his chair. Sometimes, one may find, by sheer luck, what one has searched for far and wide. This time, let's see who is more patient and becomes the final winner. London. Tangning was shooting some street fas.h.i.+on photos. As the model that appeared in JK's finale, her popularity skyrocketed within the industry within a short period of time and she received an unimaginable amount of resources. Mo Ting sat on the side of the road dressed in a trench coat. He was extremely relaxed and leisurely. He simply followed the photography team and secretly watched over his wife. After finis.h.i.+ng her shoot, Tangning turned her head to look for Mo Ting. But, he had disappeared. Tangning retrieved her phone from Long Jie and sent a message to Mo Ting: "Where did you go?" "Am I not allowed to go to the bathroom?" Mo Ting laughed handsomely. Tangning was in a good mood as she teased, "Don't run around recklessly. Be careful, I might not want you anymore...and return home by myself." Mo Ting was relaxed, but Lu Che was extremely busy. They were both in London, but, while Mo Ting was strolling around casually, Lu Che was in the hotel attending video conferences on his behalf and noting down important information. "If the madam continues like this...I will also have a migraine." As for the reporter from Hua Rong, he had lost track of Tangning over the last couple days. After careful investigations, he finally got a hold of Tangning's latest schedule and was rus.h.i.+ng to the scene of Tangning's shoot. ...this proved how cautious she was. The more cautious Tangning was, the more curious he was towards her. He refused to believe that Tangning would forever remain this alert. As for the man...the one that dropped her off at the airport in the US, he was sure he would make another appearance! 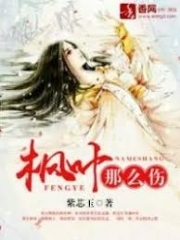 You're reading novel Trial Marriage Husband: Need to Work Hard Chapter 199 online at LightNovelFree.com. You can use the follow function to bookmark your favorite novel ( Only for registered users ). If you find any errors ( broken links, can't load photos, etc.. ), Please let us know so we can fix it as soon as possible. And when you start a conversation or debate about a certain topic with other people, please do not offend them just because you don't like their opinions. You're reading Trial Marriage Husband: Need to Work Hard Chapter 199. This novel has been translated by Updating. Author: Passion Honey, 百香蜜 already has 5616 views. Current Time is Apr-24-2019 00:03:00 AM.